By now, most people are well aware of cryptocurrencies. Even if you have no personal interest in them, you will have heard a thing or two by now. In 2017, the cryptocurrency market surpassed $600 billion USD. Now, many more cryptocurrencies are emerging and adding to this figure. What is far less understood, however, is the underlying technology of cryptocurrencies – blockchain. Blockchain is a distributed ledger that holds all transactions and their associated records, in blocks. Every block is created by a cryptographic hash, as well as other information throughout a long process. The end result is that blockchain offers transparency without sacrificing security. Attacking a blockchain is very difficult, as its underlying distributed technology leaves no single point of weakness. These are things that the world has an increasing demand for. What you likely haven’t heard as much about is the growing number of blockchain companies. Blockchain technology is now being applied across many industries. These include insurance, healthcare, gaming, logistics, and much more. What Makes a Blockchain Project Worthy Of Attention? Blockchain is a young technological breakthrough. This means that the number of examples of successful blockchain companies is still limited. What makes a blockchain company worthy of attention is its ability to apply this amazing new technology in an open, innovative, and professional manner. Let’s go over some real examples, while demonstrating WHY a blockchain company should be worthy of attention. AdHive is AI powered influencer marketing platform. The platform will bring to advertisers an opportunity to place a native ad on an unlimited number of influencer channels without having to worry about proper execution. It can operate with an extremely extensive audience after setting up ad campaign in just few clicks. For nowadays, AdHive platform works in Russia, Indonesia, and Singapore. AdHive is the prime example of how the influencer marketing industry can be changed with blockchain. Quality control systems, mediation, and much more will be conducted through the Ethereum blockchain and smart contracts. This is meant to ensure security on the platform, which empowers vloggers and allows them to compete with the traditional superpowers in advertising and marketing. 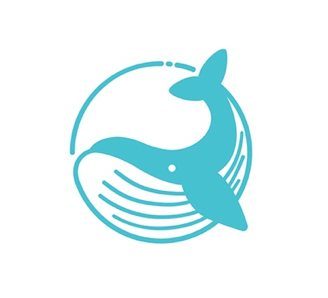 Blue Whale is a decentralized freelancing platform. Freelancers are rising as a proportion of the work forces in developed economies. In countries like the USA and Canada, freelancers will make up more than half the work force before 2030. Riding on the success of the recent “gig economy”, Blue Whale is throwing blockchain into the picture. We have already seen “Uberization” through peer-to-peer apps completely change the ride-sharing/taxi and hotel industries. It is already clear that something similar is now transforming the freelance economy. This is where Blue Whale comes in. They offer a game-changer through their introduction of blockchain, which they hope to use to bring employment benefits to the gig economy. These include paid vacation and retirement pensions. Ultimately, Blue Whale is seeking to bring decentralized peer-to-peer technology to the world of freelancing. Keep an eye on them. Noah Project is a cryptocurrency project that seeks to create a new ecosystem powered by blockchain and support economic growth with the latest technologies. They hail blockchain as the solution to economic disparity around the world. Their ultimate goal is to give a shift to the emerging crypto future and help millions of people embrace its essence today. 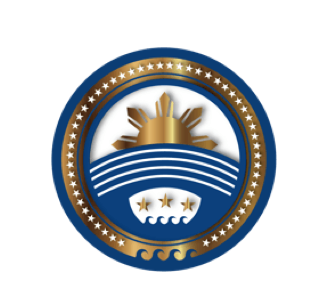 The Noah team plans on building Noah City, a luxury resort in the Philippines, where everyone could access all the facilities with Noah Coin, receive discounts and special offers. No doubt, the Noah Project is an ambitious blockchain project, which everyone should be keeping an eye on. 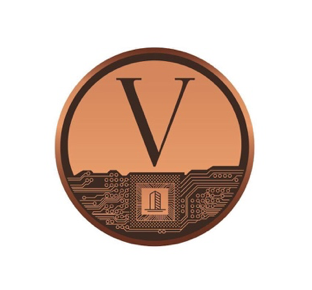 VeCap is a German based project, who brings the solution for Smart Home systems security. Smart Homes available on the market are compromise between comfort and security system vulnerabilities. According to the latest researches, provided by consultancy Oliver Wyman, IoT is diving deeper and the influence of networking devices, home systems is a nowdays requirement. But there are no systems available today that can protect your privacy. Hacking is a simple and usual trouble for smart home owner. The VeCap team based their work on the following principle: security means privacy. And their project is a solution. With Integrating Blockchain technology to their smart home system they bring protection from fraudulent impact of hackers. VeCap made a huge step in development of smart home systems in general and lead the industry into a new stage.